Everyday, we see lives around us being changed and lost to overdose. Overdose does not discriminate – it could be you or someone you love, a friend, colleague or your neighbor. 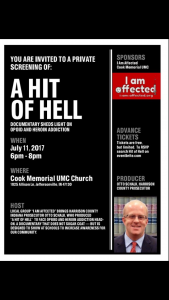 This year on August 31st, International Overdose Awareness Day, Clark County, Indiana needs your support. Get involved to prevent the tragedy of overdose. Knowing the drugs you take, its effects on your body and how to prevent overdose does make all the difference. Join us on Thursday, August 31, 2017 at 8 p.m. at Ashland Park, in Clarksville for a walk to Jeffersonville’s Overlook and candlelight vigil (approximately 1 mile). Please bring a photo of your loved one who has affected you and/or your family with substance abuse or overdose. Also, please bring battery-operated candles/tea lights for the vigil, the breeze off the river will blow out our flames. This event is not only for the “I Am Affected” group – we invite and challenge all other similar groups in the area to join us and show their concerns as well. Come join us to understand how this affects each one of us. Come join us to remember the loved ones we have lost. It’s time to Remember. It’s time to Act. If you would like to post a tribute to your loved one lost to overdose – please visit https://www.overdoseday.com/tribute/ – your story can reach someone who needs to make changes in their life. I personally challenge YOU to attend a free screening of an important documentary targeting students of all ages. 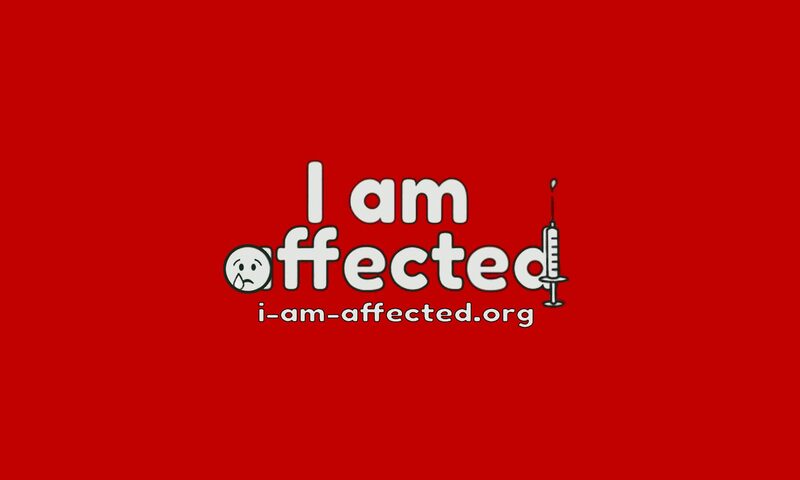 Founder of the group, “Affected” http://i-am-affected.org. IMMEDIATE ACTION ITEM – PLEASE! Hello everyone! We had a great first meeting and the group was full of hope and promise! We have some great people in this group and I hope to see it continue to grow daily. WE NEED YOUR IMMEDIATE ACTION! One thing we need to work on right away – propelling the Jennifer Act. Sounding off to our community leaders, congressmen, senate leaders and legislators. Please take 20 – 30 minutes and send letters or call these numbers – PLEASE CONTACT THEM ASAP!!! The bill has passed the Senate committees and now is on the schedule to be heard in the House. Constituents can call, email or write their Senators and State Representatives. Be sure to ask for support (vote Yes) of SB499 and it’s title-“Jennifer’s Law”. In the next few days, I will be posting a summary of our meeting and try to provide you with a list of action-items. But, this one should get top priority at the moment. Please give it 20-minutes of your day? Please share the links: I AM AFFECTED GROUP and i-am-affected.org with anyone you know who has been affected by this terrible scourge! I am writing you today to ask for your support (vote Yes) for SB 499 – also known as “Jennifer’s Law”. The entire state of Indiana would benefit greatly if Jennifer’s Law were passed. Please consider the impact this law will make for families like mine who have suffered the wrath and been affected by drug addiction. While it is too late to save my daughter’s life, this bill can impact many others in my family and community. It is time we fought a better war on drugs – clearly the war Reagan launched 40-years ago has done nothing more than consume funds that could go to much better use. Why should we spend over a trillion dollars losing a war in our own country? Let’s win this! Please, vote YES for SB 499 Jennifer’s Law! There were a dozen who gathered for our inaugural meeting, but oh so many great ideas, options and paths we need to pursue! Now that we have a small start, it is also time to start growing. We need to begin developing small groups to pursue the many different areas where drug addiction affects all of us, and our loved ones who are addicted. 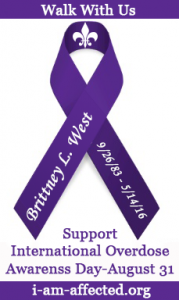 I am Marilyn Greenwell and my husband, Michael and I lost our 32 year-old daughter, Brittney to a heroin overdose on May 14, 2016. We have been affected. It’s been nearly a year and I cannot face the one-year mark without putting forth an effort to rectify what is wrong with our system as it pertains to addiction. Since Richard Nixon started the war on drugs over 40 years ago, both the demand for narcotics and the violence surrounding the drug trade have risen dramatically, and the United States alone has spent more than $1 trillion losing the fight. If the United States can spend a trillion dollars losing this war… think of what we could do with that money IF we fought in a more proactive offensive manner! Providing the children of drug addicts with education to help them find their voice so they can speak up about their addictive parent. To help them see that they are not doing something wrong by telling on their parent – the addict who emotional beats them into thinking that if they tell, they will be “taken away”. These children also need counseling and a support system to allow them to process their grief after they find their parent dead of an overdose… or after they have to say goodbye to their parent at the funeral home. Or, after they find their overdosed parent, save their life and then repeat. Change laws to enable a family to sign their family into rehabilitation for more than a 72-hour hold. Who is the best judge of the situation? The family! The Jennifer Act – Senate Bill 499 – to be extended throughout the state of Indiana. Kentucky has Casey’s Law that is very similar. Changing laws – this will be very difficult. Many people see forcing an addict to get help is a violation of their civil rights. We must find ways to convince lawmakers that addicts do not have the capacity to make a responsible decision, their brains have been re-wired by these drugs. They waived their civil rights when they violated those of the people who rely upon them, who love them and who are left behind after they overdose. Change laws to “sentence” an addict to rehabilitation instead of jail for drug-related crimes. They can detox safely in rehab as opposed to the dangerous “cold turkey” approach. A minimum of 6 months to a year or more, is needed to help turn an addict around. Studies show that it takes 18 months for an addict’s brain to heal and restore their full capacities. Change laws to place murder charges on the dealers (big or small) who sell drugs to those who overdose and die. Encourage police departments to provide rehabilitation and amnesty to those addicts who come to them, turn themselves in and request help; similar to the Angel program in Jeffersontown, Kentucky. Identifying and supporting existing related programs that have been already established in our area. Increasing funding for rehabilitation facilities and halfway houses – as well as staff and counselors who can help work with the addict. Because so many permits and paperwork have to be processed to build a new facility – perhaps it would be best to begin working on expanding the current facilities to enable them to accept additional addicts. When my daughter was pregnant and wanted help – not a single facility in the United States would take an addict on heroin. Provide funding for research to find the key to unlock addiction and/or find more effective treatments as opposed to treatments that are also addictive like methadone and suboxone. There is an electronic device made in Indiana that hardly anyone has heard of that helps to ease the pain of heroin withdrawal. Why is it not more widely used? Rejecting the “bandaid’ approach of the needle exchange. This is a very expensive and very well intentioned program that is failing badly. Instead of actually “exchanging” the needles – addicts could care less who is the next victim of their disease – they toss the needles out their car windows, on playgrounds and other areas where small children can find them and be infected. Why can’t those dollars be refocused and help with rehabilitation? Rejecting the safety net approach of Narcan by rationing or capping the narcan distribution. The “safety net” further enables the addict. The funds saved from this program and the needle exchange can help to fund further rehab efforts. After three strikes, the addict should have to purchase their own rescue kit and carry it on them, if they wish to be resuscitated. Empower law enforcement with stronger laws designed to help them do their job effectively. We will have to find strong folks who know the legal system, who can fight to change laws so law enforcement can actually do their job. Encourage the justice system to stop being so lenient on addicts and dealers – make them pay their time. Because of overcrowding and other “legal loopholes” the justice system is turning a blind eye to the drug epidemic. Helping recovering addicts find gainful employment, provide them with ongoing counseling and services that will keep them from turning back to their old ways. With all that said… I am sure there are at least a dozen other areas I haven’t even touched upon. You too have been affected. That’s why we are here. We could brainstorm for 20 minutes and come up with 20 other areas of focus that I missed. What I would like to do with our group is to form the foundation of a large scale task force that can sub-divide and work to find resolution in each of these areas. Kind of like an umbrella – we all work together under this one umbrella – but – we can choose an area that we are passionate about and to develop a sub-committee (or a group under the umbrella) to work together on that specific area. Please limit yourself to the one group you feel most passionate about. Because, when one of our other spokes has an event or special effort that needs additional focus – I would like to provide backup to them. This helps our larger group work cohesively and support one another in their efforts. My passion is working to help children – the innocent victims of drug addiction. Your passion may lie in one of these other areas. For instance: My group’s primary focus will be working to help the children who are the real victims of addiction. One of the other subcommittees may be hosting a fundraiser for a local rehabilitation expansion. To help out, I could volunteer to work the event – to organize the silent auction or take admission at the door. OR, if a particular bill is being proposed to congress – I may make phone calls or send email or snail mail to members of congress to help them better understand my reasons for being an opponent or proponent of that bill. We have all been affected by addiction. While many of us may have different opinions, we are all working for the primary goal of making big change in this drug epidemic. I ask that everyone respect one another’s opinions and avoid conflict. Open your hearts and minds and be willing to hear the reasons behind why someone feels strongly about something. And be willing to explain why you feel strongly about something. We just might help each other see both sides of the coin and come to the mutual agreement to agree to disagree… but continue working on this problem. And in keeping with that spirit, I ask that politics be left out of our group. Regardless of who we voted for or who is in office, we NEED them to be our allies in this battle. We have no need to bash one or hate another. Please keep this in mind – without them, we cannot get bills passed, we cannot create the change we desperately need. Friends, we can make a difference, it will not be easy. We have to work hard and we have to work together! Just like this horrible drug epidemic, our group can grow exponentially. There is power in numbers! If we all fight this war together, we can and will make a difference! Thank you so very much for being a part of this effort to FIGHT against drug addiction! Thursday August 31, 8pm – see International Overdose Awareness Day info to the left.